When Microsoft opened E3 just a couple months ago they caught everybody off guard by announcing they were bringing backwards compatibility with the Xbox 360 to the Xbox One. And now, at Gamescom in Germany this morning, they've followed up with a firm release window: backwards compatibility will arrive for all Xbox One users in November. The company also officially announced the long-rumored Xbox One DVR is real and will be released in 2016. The new DVR function will allow Xbox One owners to record live over the air broadcasts without any subscription fee, as long as they have an Xbox One digital TV tuner adapter. In addition it appears you will need to use an external hard drive to do the recording, as opposed to using the Xbox One's built-in storage. Users will be able to stream recorded TV shows to Windows 10 devices using the Xbox app, while iOS and Android devices can do the same using SmartGlass, and you can schedule recordings from any of these devices. We likely won't get a more specific date until very close to release, as Xbox One's monthly dashboard updates don't fit a regular schedule. 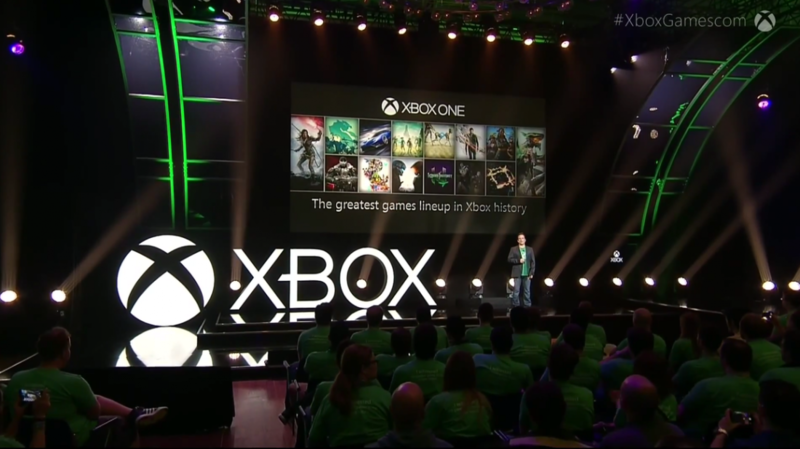 The company is expecting around 100 titles to be available for backwards compatibility when the feature launches to the public, and members of the Xbox One preview program have been able to play a limited number of them since E3. One newly announced aspect of the backwards compatibility feature is that all games that are given away for free as part of the 360's "Games With Gold" program will be backwards compatible. This should essentially bump the number of free games available to Xbox One players every month.